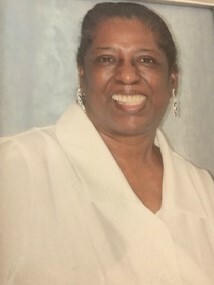 Mildred Hardy, 64, of Decatur formally of Courtland died November 22nd at her home. Her funeral will be Saturday, December 1st at Mt. Zion M.B. Church in Town Creek, at 12 Noon, with Jackson Memory Funeral Home directing. She will be placed in the church one hour prior to her service. Burial will follow in Mt. Zion Cemetery. Public viewing will be Thursday and Friday from 10-5 at the funeral home. Mildred Hardy of Decatur, fomally of Courtland was born in Brooklyn, New York on Oct 19, 1954. She was preceded in death by her parents, Susie White Hardy and Otis Hardy, and a sister, Sandra Hardy-Hillman. She is survived by three brothers, Otis Hardy (Claire) of Huntington Station, NY; Alex Hardy (Deborah) of Las Vegas, NV; David Hardy of Queens, NY. One sister, Terry Hardy of Bronx, NY; a goddaughter Kwanteva David (Kenson) of Bronx, NY.